Meghan Markle and Prince Harry have moved out of Kensington Palace into their new home in Windsor. The Duke and Duchess of Sussex relocated to Frogmore Cottage, based in the grounds of the Windsor Castle's Home Park, yesterday. They are setting up their new family home ready for the arrival of the royal baby, due this month. The property is next door to where they had their evening wedding celebrations last year. Harry and Meghan reportedly hired Vicky Charles, Soho House's top designer, to give their property a makeover. The designer has previously worked for the pair's friends, George and Amal Clooney, as well as the Beckhams. Harry and Meghan are reported to have spent thousands soundproofing their home. 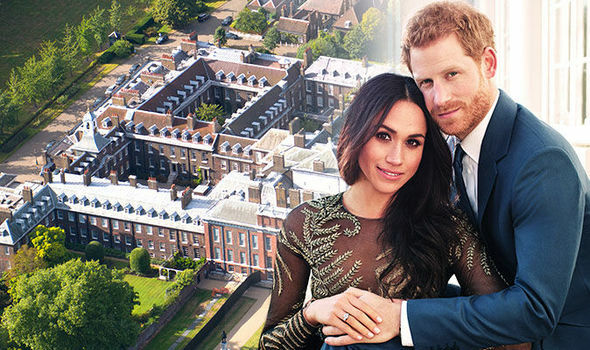 ITV's documentary Secrets of the Royal Babies looks at the couple's new home, reporting it was formerly staff accommodation so needed "quite a lot of work". The cottage had been split into five separate units for the Royal staff so had to be turned back into a home. The cost of renovation work is said to be in the range of £3 million, with the work carried out by the Sovereign Grant, while Prince Harry and Meghan cover the bill for the interior changes. It is believed the house would have five en-suite bedrooms and a kitchen diner. It has also been reported that Meghan Markle wants to install a yoga studio so she can keep up with her exercise regime. The nursery is also being painted with vegan and organic paint, according to reports. The couple have split from the Duke and Duchess of Cambridge's Kensington Palace household. But the 'Fab Four' will remain joint patrons of the Royal Foundation, which is the primary charitable body for the Cambridges and Sussexes.